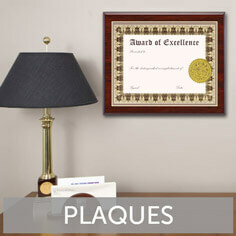 Display awards and show recognition with our custom made plaques. 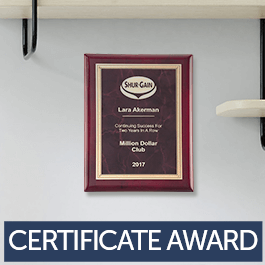 Our selection of places includes engraved awards, perpetual awards, and certificate awards. 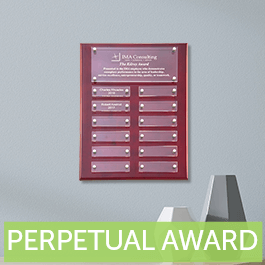 Customize your plaque with a company logo and specialized text for perpetual plates. We have a large variety of wood shapes, types, and finishes. Get the look of a walnut or cherry wood finish. We make floating acrylic plaques and piano finish as well. Turn to Holmes Custom to get professional plaques for your next ceremony.